The Red Sox began the 2006 season with too many starting pitchers, and ended it sending guys named Gabbard and Snyder to the hill. 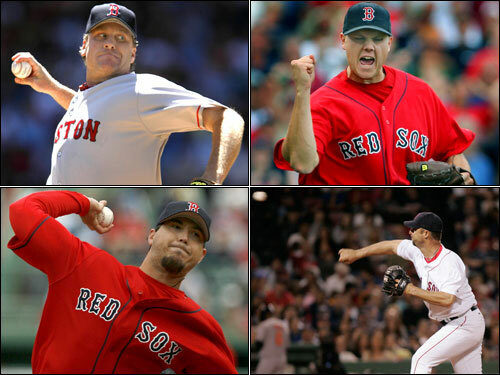 What will the 2007 rotation look like? The Sox are off to a good start with Curt Schilling, Josh Beckett, Tim Wakefield, and Jon Papelbon penciled in, but theres no doubt they could use more help. The Globes Gordon Edes identifies five options for the Sox, and we let you vote on which you think is best.